Just a few years ago, only programmers could make money online. The tech-savvy cleaned up, while everyone else admired them! Now, however, things are very different. You can use many applications, programs, and strategies to make money without needing to know a lot about technology or the internet. Breaking into online business is something even your grandma could do these days. 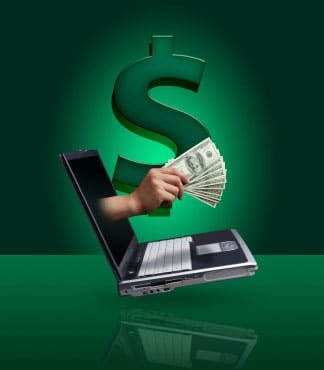 Here are some ways you can make money online while sticking to the basics. Sites like Amazon’s Mechanical Turk program allow you to do small tasks and earn a little money with each task. If you get good at the tasks and do them quickly and to the highest quality standards, you can figure out how to do them quickly but properly. It won’t be a six-figure income, but it can be enough to supplement the household’s income or earn money for investment into future business efforts. This is an increasingly popular option, so it can be hard to find a good survey site. Some sites do compile these survey sites and rate them based on their payout, the frequency of surveys sent, and the ease with which the surveys can be completed. Look up sites before you register to make sure your email address won’t be spammed afterwards, but you should be safe with one of the “big name companies” who have been operating since the days of mail surveys. Just like the other options above, you’re not going to get rich from a blog, but you can have a lot of fun, build an audience of people who enjoy what you do, and turn this asset into money other ways (such as publishing a book of your best blog posts) quite easily once you’ve done the hard work of starting the blog. Pick a subject that fascinates you and provide useful information, help people overcome common stumbling blocks, and give them unique tutorials, information, or facts. You can put ads on your blog from sites like Google AdSense to easily earn money, and it’s a very easy process if you sign up with Blogger to host your blog; you just have to click the Monetize tab to get started. This doesn’t mean you have to be a musician! Sites like Fiverr, JustaFive, and FiftyTown offer gigs for small payments. This can be anything from mailing a postcard to someone to providing them with advice, doing small tasks for them online like blog commenting. You can offer just about anything as a gig online and get paid $5 on Fiverr ($4 once you factor in the cut Fiverr takes), $50 on FiftyTown, or another similar small amount on one of the many gig websites available. Sometimes, people have the skills to build websites and do major projects, but they’re too busy to get the simple things done. This might be something like writing blog posts or articles for people, writing comments on people’s blogs with links to their sites, or helping handle data entry or customer service. There are all kinds of skills you can offer to people without needing to be technically proficient. These are just a few possibilities for starting an online business without enrolling in computer courses or feeling lost at every turn. Even your grandmother could start a business online these days, so what’s your excuse? Guest post contributed by Charles Dearing, for WhoIsHostingThis.com who provide a Web Hosting Pad Review. Charles is a freelance tech writer and webhost expert. He keeps tabs on all the latest hosting news and follows all the popular webhosts. Prev PostWhy CakePHP should be chosen for Developing Web Structures ? I probably wouldn’t touch mechanical turk or surveys. But I think that contracting out for various kinds of work could be worth it. running a blog and monetizing it is a great idea, but only the most popular blogs will reach a point where they can earn a full time income for even one person, let alone a lot of people. Filling out surveys, blog commenting and writing posts for others are some of the ways even the elderly can do. However, one should be aware of the dangers of being scammed online, especially when majority of the target victims are those who are over the age of 50 and haven’t much awareness on the risks involved online. Although I agree with the author regarding the ways you can make money, I believe the best way to make money is as an affiliate marketer. I resell other peoples products and do well there too. Amazon, and Ebay are also good alternatives.